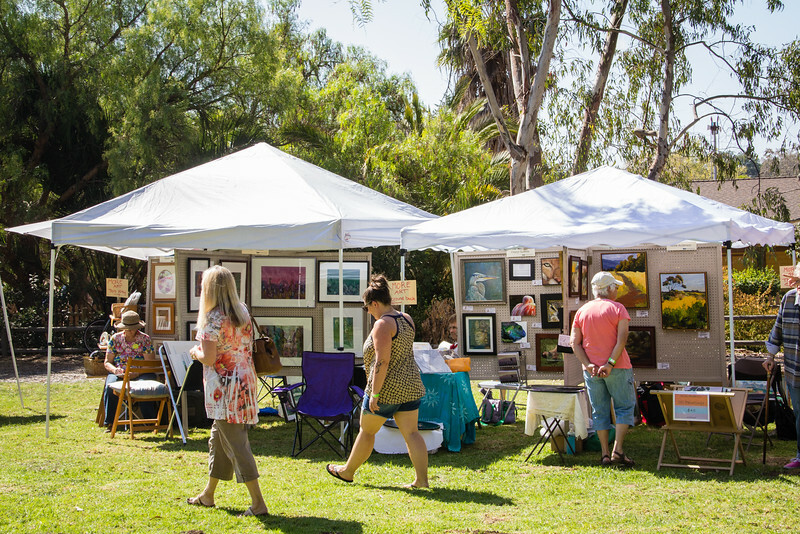 For the first time this year the annual Fiddlers' Festival partnered with the annual Goleta Valley Art Festival on the grounds between Stow House and the RR station. Alongside our typical vendors, there was a lovely display of art for sale. At the end of the day, organizer Ann Anderson awarded prizes to the raffle winners.